In the northeast, it feels like winter lasts forever sometimes. We do love our seasons out here, though and for me, there's nothing quite like putting on that cozy warm sweater when the air starts getting crisp. In order to beat the cold weather blues, I like experimenting with pops of color in winter. I also like adding in some texture in my wardrobe...straying away from my trusty ol pair of jeans and t-shirt. 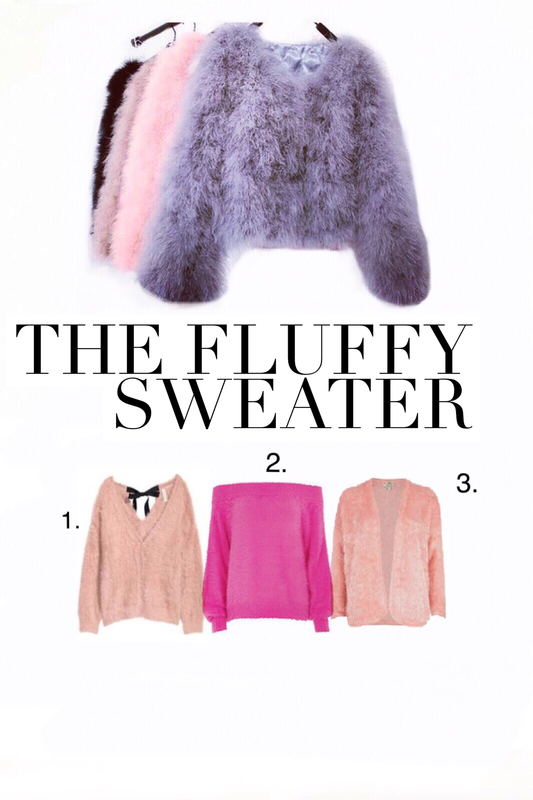 Here are the cozy, cute, chic furry/fluffy sweaters I chose to help beat the cold weather blues this winter.